This week is Science Fair Week! I found that teaching the Scientific Process wasn’t as hard as originally thought. It has been the way we have been living for years. Ask a Question. Research. Think about what will happen. Try it. Try it again. Talk about it. Consider what happened. We do this with Dinner Menus, Daily trips, Fishing gear, Clothing Choices. . . .
Jon really just wanted to grow Crystals. I had him look up the how to in Yikes! Wow! Yuck!, Fun Experiments for Your First Science Fair, Elizabeth Snoke Harris . Before I could think about whether or not this was a good choice with our timing this week, he had gathered all of the supplies, had the beakers prepared, and had the water boiling. Ok. Salt Crystals. 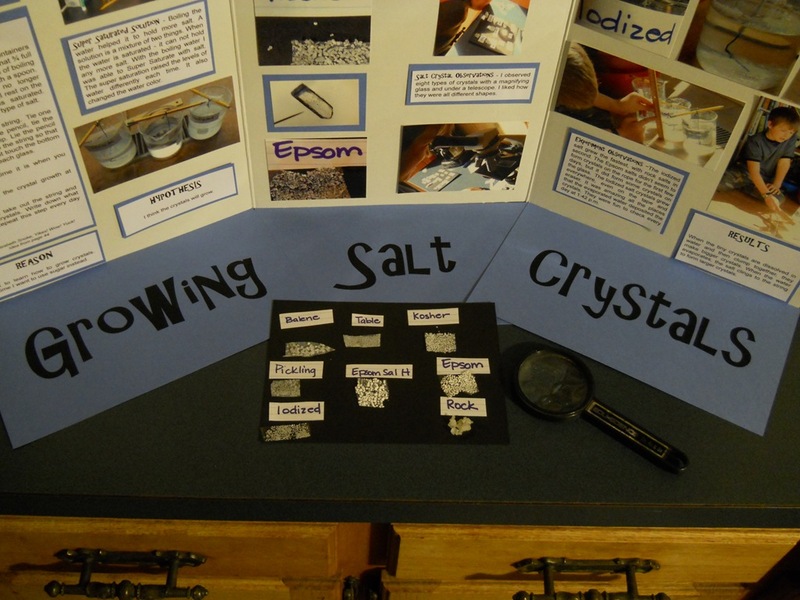 Thoughout the week, we have studied Crystal Formations, Super Saturation, Evaporation, and the various types of salt. We’ve looked at them under magnifying glasses, under microscope, tasted, felt, rubbed, and thrown a few over the shoulder. 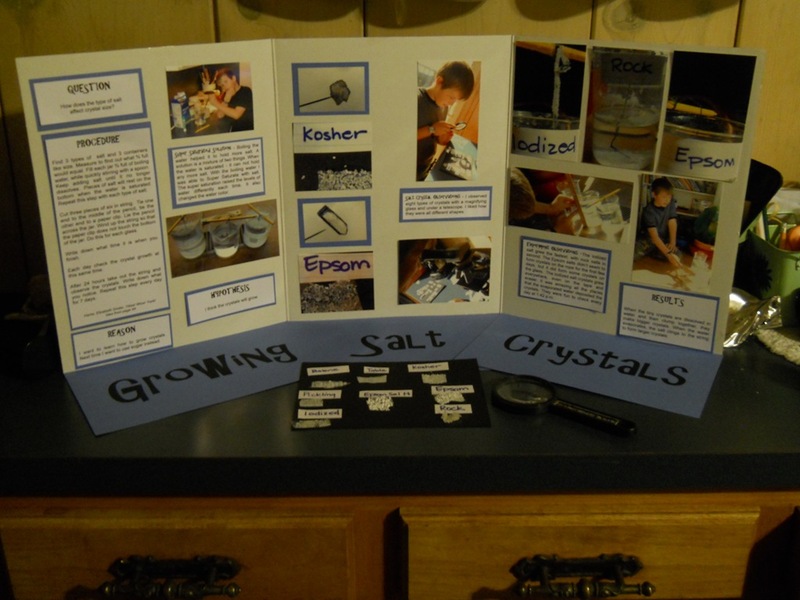 Nate also completed his Science Fair Project – I will post his on Thursday – Jon’s project board is more of a Scrapbook of What We Did. He wasn’t too excited about the details of the board – Nate, however, was picky about even the paper that the print was on. The titles. The font. The font size. The Layout. The Size of the board (traded twice). Jon – much easier to work with – but he still has his squirrelly ways. Even though the instructions said for a parent to pour the boiling water, Jon really wanted to do this part. His reason and hypothesis isn’t very scientific. Because he wanted to grow crystals, and I think crystals will grow. . . . Nice. I can definitely tell where the writing classes have paid off for Nate. Jon is starting a writing class next week. Good Timing. 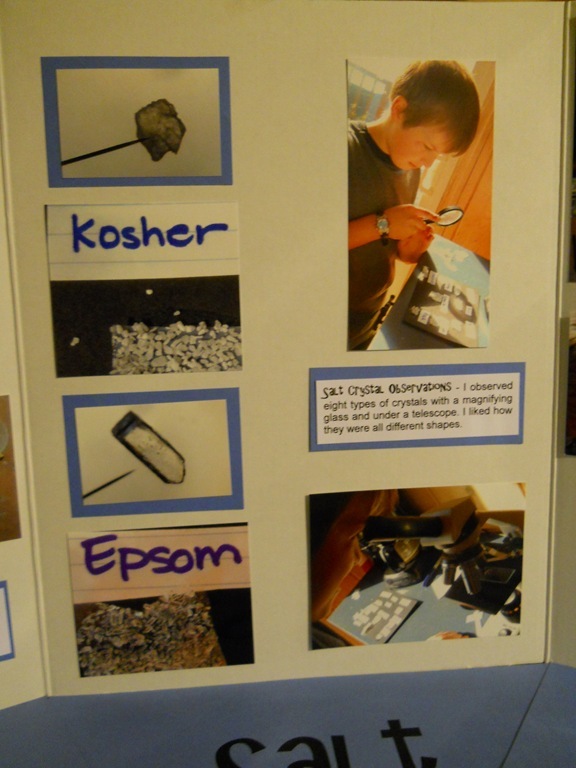 His favorite part was looking at the crystals in the microscope and magnifying glass. I left him alone for just a minute and he figured out the sun was at the right angle to burn holes through the paper. Again. Really Tired Momma. Sigh. We had to print the day 2 and 3 photos to include in the board, as we’ll be away from the house the days leading up to the fair next week. I’ll try to take a few this week, but will probably not have time to print them the night before. We’ll see. So far, there is growth, and they are all three different. Again, I’ll post Nate’s on Thursday so swing back by to see. Oh – and his Question? How does the type of salt affect crystal size? 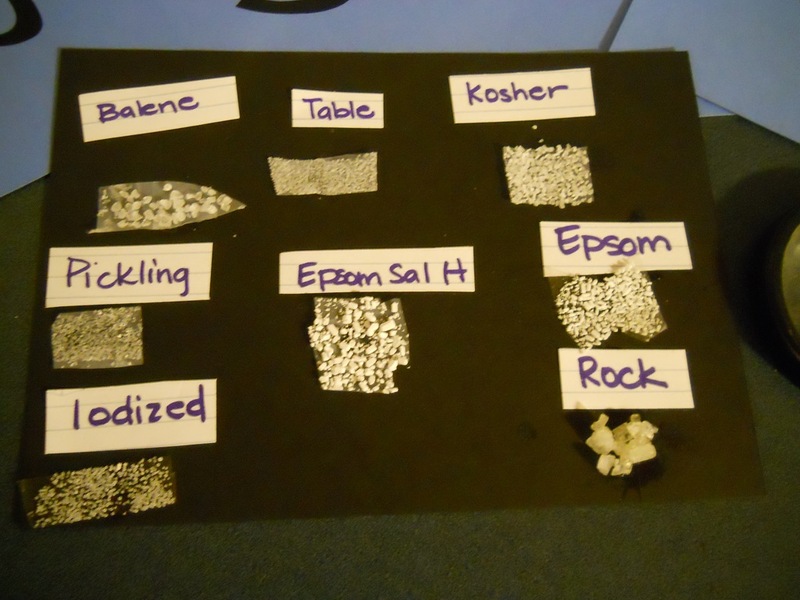 He has learned more about Super Saturation, Evaporation, and Salt Crystal Differences – than the observed answer to his question that Epsom Salt was the smallest formations and Iodized was the Fastest growing, Rock Salt has been slow, but has the largest growth. We’ll probably make a graph on Weds, with all 7 days of data. Do you join a Science Fair? What will you study this year? 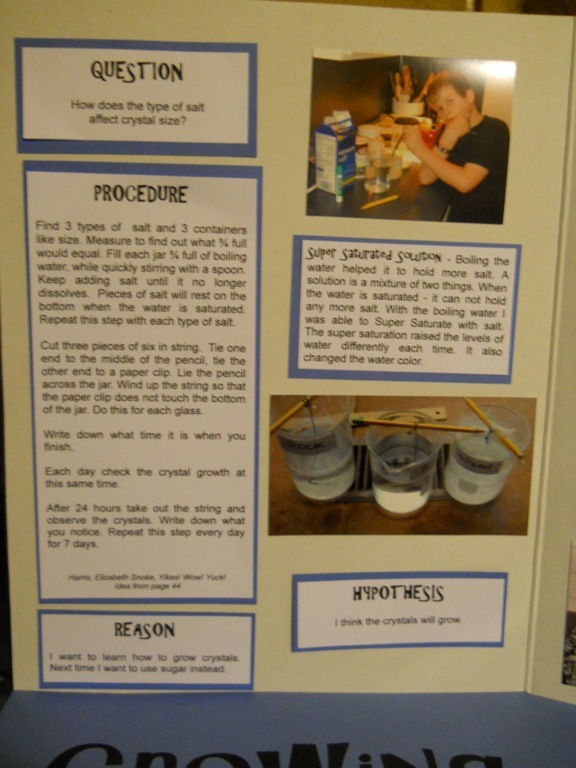 This entry was posted in Some Schooling and tagged Science Fair, Third Grade. Bookmark the permalink. Both projects were very interesting. An especially great presentation board, Nathan. Thanks for sharing with me. I’m honored. Great work! 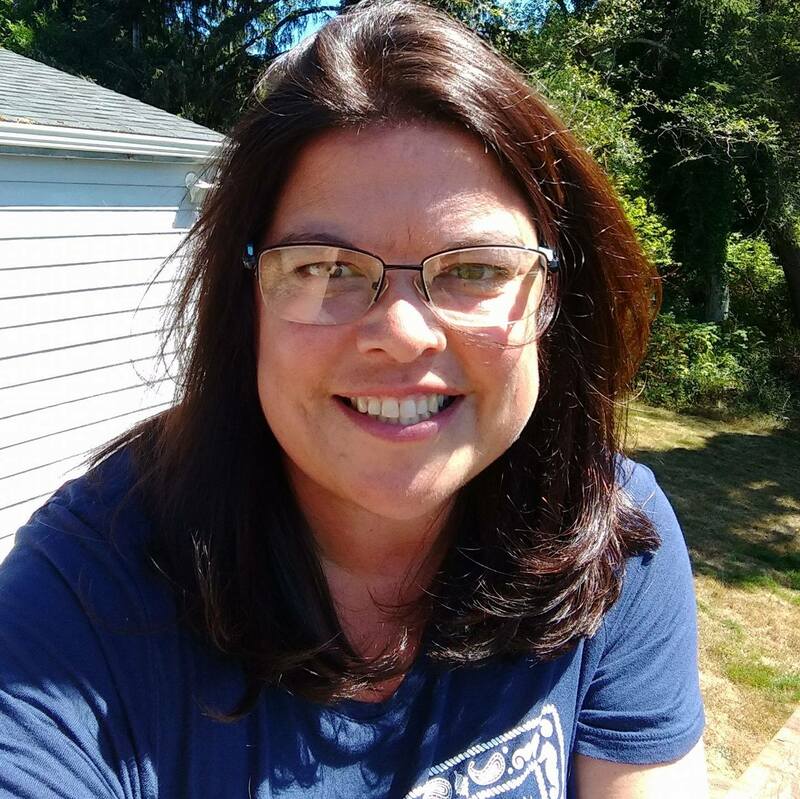 Saw your user name on Becky’s blog and just had to stop by to leave a blessing. What a beautiful display. It sounds like he learned a lot through this process. WOW that looks great! 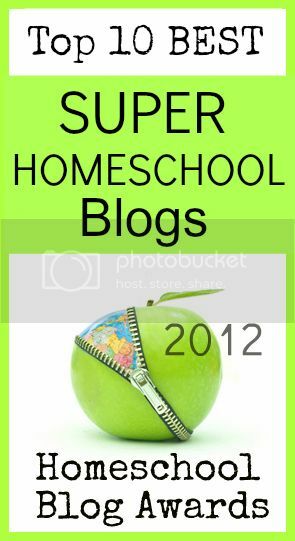 Thanks for stopping by my blog and leaving a nice comment on my Dr Seuss theme! 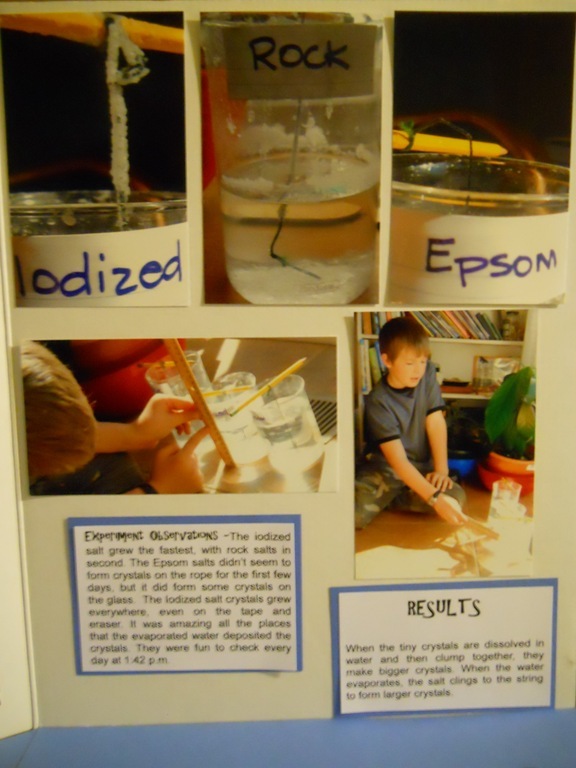 I can’t wait until my kids are older and can do the science fair thing! Great job!